Bongo drums are made of two different sized drums. The larger drum is the Hembra and the smaller one is the macho. Typically, the construction of the bongo is made of wood and animal skin. However, today, there are many variations of the bongo drum. There are those shells that are made of synthetic material and even metal in some occasions. Also, these days, contemporary players are even using drum sticks and brushes to have the sound that they want to have. 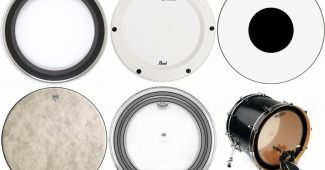 How do you find the right bongos for your needs? Here are some things that you want to look closely. 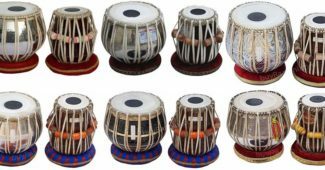 Different individuals buy their bongos for different purposes. For one, you have those that purchase the drum for their studio. On the other hand, there are those looking for live performance drums for their band. There are a lot of bongos in the market that may vary in looks and construction. There are those drums that can withstand scratches and bumps for bands doing gigs for different venues. On the other hand, you have the Bongos that not only produce great sound but also look complimentary to your interior. The traditional bongos are made of hardwood. This allows the manufacturers to carve the wood without sacrificing durability of the percussion instrument. However, there are also those that are made of fiberglass. Different types of wood will give a different sound to your drum. Each drum will have a distinct sound that can be perfect when you record in a studio, or when you perform live. Some types of wood will give a higher pitch than others, while some will give a warmer tone. Siam oak, for instance, is a great option because of its durability and elegance in terms of appearance. It also produces warm sound and usually has the usual high-pitched sound of bongos. 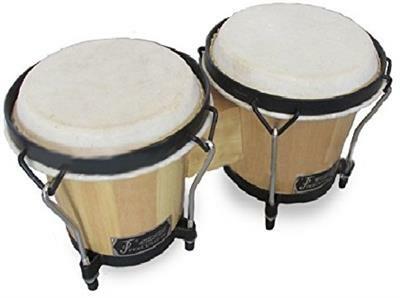 Different bongos may have different price points. If you find yourself with a limited budget, better to make your decision wisely. Consider not only the price but the things that you get from the bongo drum. Is it durable? Does it carry the sound that you expect for its price? This is something common, especially for aspiring musicians. Apart from the material used on your bongos, it is also important that you judge the overall quality of the drums based on its performance. If look at the appearance of the high-quality bongos, you’ll notice that they make use of a finish that protects the drums from scratches. Also, cheaper versions of the bongos are simply tacked by the side. 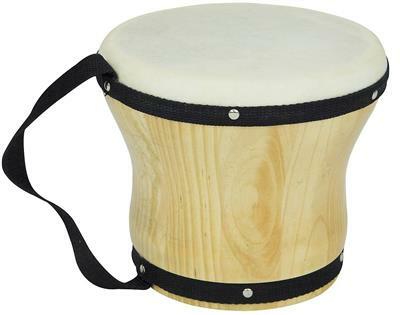 A high-quality bongo drum allows you to tune the head using a tuning ring and its adjustable steel legs. GP Percussion B2 Pro-Series Check here! Meinl Percussion HB50BK Standard Check here! Rhythm Band Junior Check here! First Act Discovery FB6125 (for kids) Check here! Remo Rhythm Club (for kids) Check here! Tycoon Percussion 6 Inch & 7 Inch Ritmo Check here! Remo Kids Percussion Fabric Rain Forest Check here! Toca Synergy Series Check here! Cecilio Kalos KP_BG67-Oak Check here! 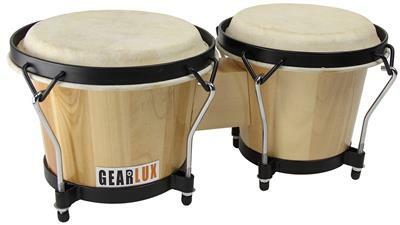 Gearlux Tunable Bongos Check here! Latin Percussion LPA601AW Check here! If you will look at the number of bongo options in the market today, you’ll notice that there are a lot of different options to choose from. A variety of materials, sizes, and different price range may give you a difficult time choosing the right one. 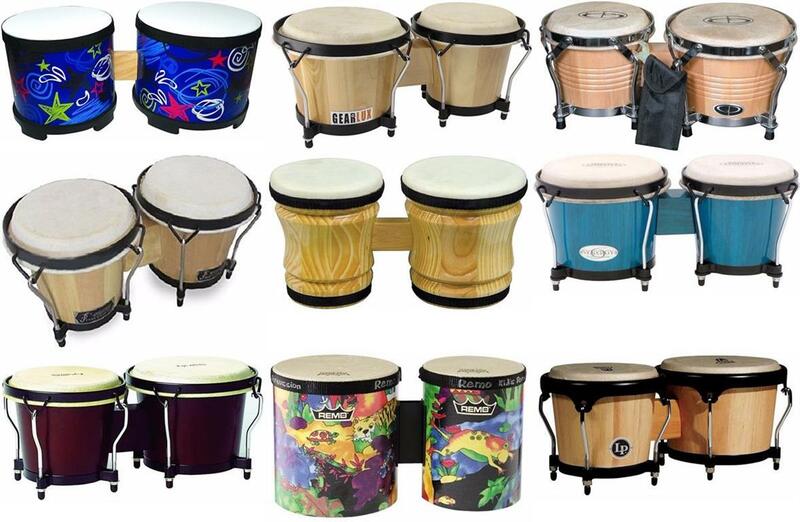 To have an idea on which item best fits your taste, here are some of the best bongo drums to choose from. The Pro-Series Tunable Bongos by GP Percussion is a favorite among professional musicians and hobbyists alike. And it is for good reasons. Measuring 6 and 7 inches, the Pro-Series Tunable Bongos allows you to play like a pro with its excellent materials and construction. It features the use of Hickory shells and natural hide for its heads. 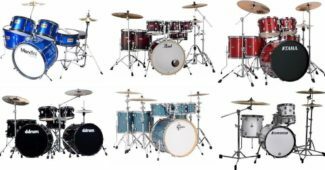 It has four tunable lugs and a tuning wrench per drum that gives you the opportunity to get the right pitch for your instrument. It also has a nickel plated rim and cast base rim that guarantees longevity for the drums. And also, it has protective rubber by the feet. And lastly, it is aesthetically appealing because of its natural wood finish. Made of natural hide and hickory shell, this drum offers great sound and durable construction guaranteed to be enjoyed by both pros and hobbyist percussionists. 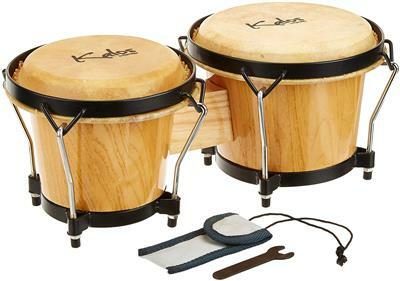 The Hip Bongo Drums measure 6 and 7 inches and it also features high-quality wood that is weatherproof. 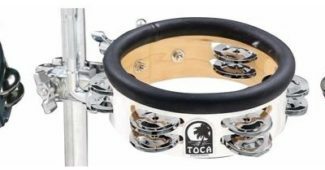 The rim has also been designed to be round to make sure that the user can hold the drums at any given position comfortably. It also features rubber feet to minimize wear and tear while using the drums. It is also lightweight making it easy to carry around. The natural hide has been stretched with no crevices to ensure that it can produce great sounds regardless of the season. The Meinl Percussion Standard Sized ABS Plastic Bongos may look like a modern percussion instrument, but this item is known for its traditional sound. It makes use of a natural skin head, despite having a plastic body. 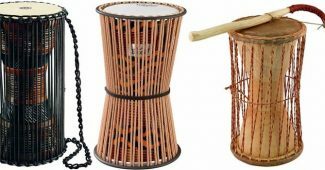 Don’t be deceived by appearance, because this drum is a lightweight percussion instrument that brings a traditional bongo sound to its user. Included in this product is a tuning wrench that allows you to adjust the head. It also has rounded rims that give optimal comfort for someone playing the musical instrument. 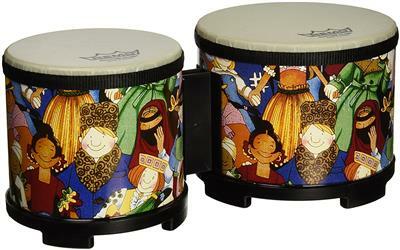 The Rhythm Band Bongos Junior measures 5.75 and 5 inches. These bongo drums are made especially for kids. However, despite being used for kids, these drums were professionally made on the outside with its durable shell and heads. Though it doesn’t sound as good as the professional bongos, it is a great product that can introduce your children to musical instruments without spending so much money. However, it is a good idea for parents to buy these bongo drums for children who can already hit the head firmly to get a decent sound. Another option that parents can go for if they plan on making their children musically inclined is the First Act Discovery Kids Bongo Drums. This item is a favorite among parents because of how easy it is to play. It measures 10 inches and has a raised shell design to give authentic tribal drumming experience to its users. Unlike other toy bongo drums, this item offers a wooden construction that mimics the professional bongo drums that adults play. In addition to this, it also has pre-tuned heads for a clear and full tone. One of the best ways to leave a positive impact on your child is to introduce them to music. Playing string and other types of instruments may seem a bit complicated for young children. On the other hand, percussion instruments seem like a good option. If you are this type of parent, The Remo Rhythm Club Bongo Drum makes a good choice for children. Measuring 5 to 6 inches, this bongo drum is perfect for children to get introduced to playing a musical instrument. Though the head is made of synthetic material, parents are guaranteed that the pitch is not going to change even if there are changes in temperature and humidity. It has also been tuned to the highest pitch in order to make sure that the children are going to have a positive experience playing these bongo drums. On the downside, it isn’t a professional musical instrument. However, this doesn’t stop your kids from having fun. However, these bongo drums are well known for durability and its ability to withstand smashing and other forms of rough play by kids. 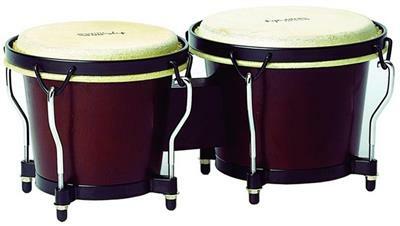 If you are the type of musician or hobbyist who is very particular about the kind of material that goes into your bongo drums, the Tycoon Percussion Ritmo Bongos make a good option for you. These bongo drums make use of hand selected Siam Oak Wood that gives warm tune. It has a lightweight design that makes it easy to transport and carry around. Typically, the product has been suggested for beginners. However, with its features, it has been considered a great option even for pros. In addition to this, it also has a black powder coated traditional hoops to keep the head in place. And also, included are tuning lugs and backing plates. It also makes use of buffalo skin heads. 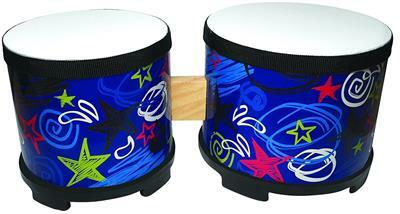 The Rhythm Band Bongos Single Small 5” drum is a great option for pre-school children. This single bongo drum offers an opportunity for children to learn how to play music, especially at a young age. You can expect both the shell and the head to last for quite a while considering its durable construction. Parents can expect that the Single Small Bongos can withstand the usual wear and tear of children who enjoy tapping on the drums. 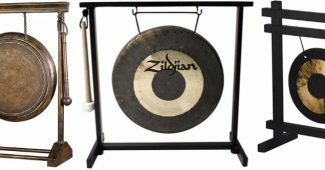 It also offers a great sound which is something unique for a drum that a lot of adults would consider as a toy. 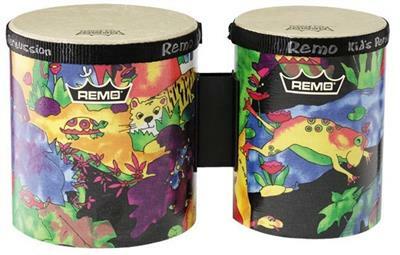 Remo Kids Percussion Bongo Drum is a 5 and 6-inch drum made for kids to get acquainted with percussion instruments. It features an acoustic shell known to produce a great sound. The two drums offer variety in terms of pitch (one high and one low) to give children the variety that they are looking for when tapping the drums. 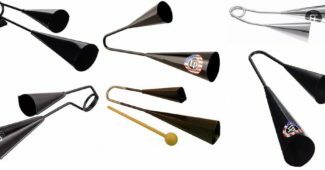 In addition to this, it has been made with durable materials to make sure that it can withstand the usual wear and tear that you can expect from children getting too excited when they play the musical instrument. It features sturdy head and base that give children the ultimate freedom to create the best music. 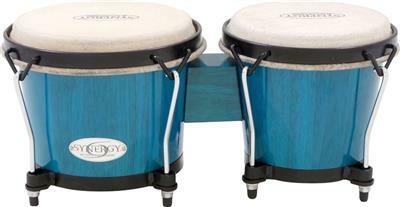 Toca Synergy Series Bongo Set is a great option for serious musicians. 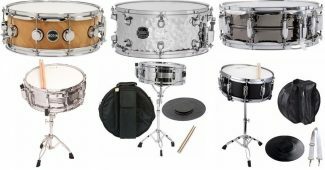 It offers 28 inches of two ply wood shell construction not only to allow great sound but also to ensure that the drums are going to withstand the usual wear and tear. 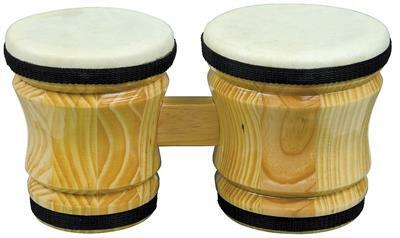 The wood used in the bongo drums came from a plantation in Thailand and was handcrafted by local musicians themselves. This bongo drum set also allows you to tune the head according to your preferred sound. The Kalos Oak Drum is an excellent choice for musicians and even aspiring percussionists who are serious about durability and the quality of sound of their bongos. Made of oak, expect the best sound from these bongo drums. It also features skin head guaranteed to please even the pros. It also has great sound and can be considered a middle ground between a professional bongo drum and an entry level product. Gearlu Tunable Bongos is a percussion instrument designed for children. 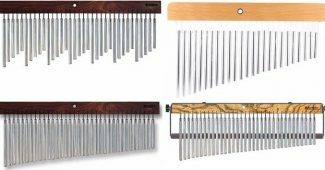 However, based on its appearance and construction, it is more than a kids’ percussion instrument. It has 6 and 7 inch drum heads and wood shells that give traditional sounds. It can also be tuned with its four tuning lugs per head. 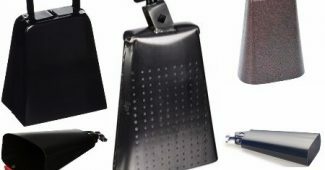 It also offers rubber feet not only for stability but also for the protection of the drum shells when it is being used. 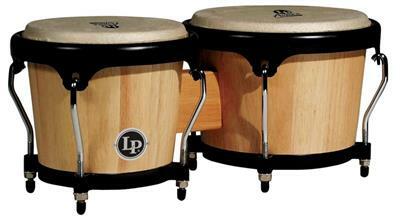 LP Latin Percussion Bongo Drum is a tried and tested percussion instrument that has been played worldwide. LP has been the leader of the best percussion instruments for the last five decades, and it isn’t surprising why this bongo drum was made with both precision and high quality. 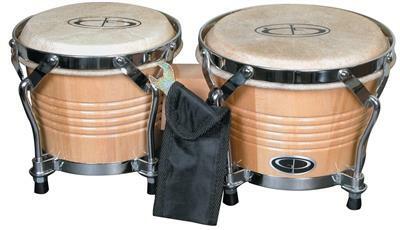 For starters, these bongos are made of natural wood shell while featuring EZ-Curve rims and tucked heads. It also has Cuban style steel bottoms that add not only to its appeal but also durability. Included is a tuning wrench that allows you to adjust the head as you please. There are a lot of bongo drums that you can find interesting in the market. It can be a bit confusing as well especially given the similar characteristics that you’ll commonly see in these products. With what we mentioned here, you’ll be able to find the right one that fits your requirement and budget.